A picture is worth a thousand words. That’s so true when you want to show somebody how to do something. While it is easy to capture the screen on your iPhone or Android phone, even in Windows and Mac which each of them provides a built-in screen capture feature. For Linux users, taking a shot of your screen on Ubuntu Linux does not need to be a complicated task too. 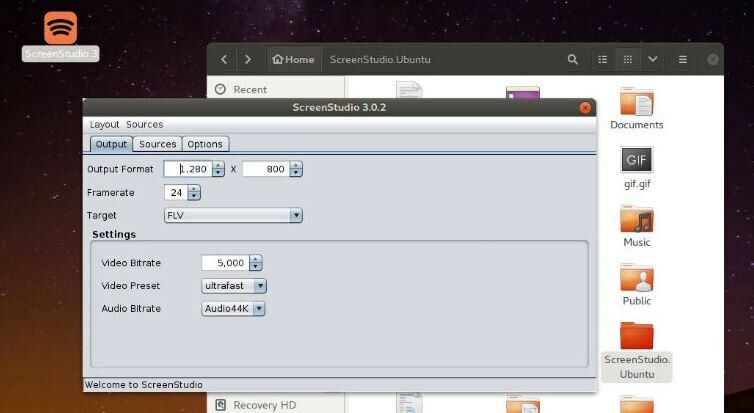 Though there are many screen capture tools for Linux available on the market, to make things easier, consider the top 8 screen capture tools for Linux mentioned below. These are eight of the best tools that are excellent when it comes to user-friendliness, allowing you to take screenshots or record screen in a snap. Some of these tools are only used to capture screenshots and edit the captured images, while some also allow you to capture the whole activity on your screen, namely, record whatever happening on your Linux screen. Hope it is helpful for you to find the best screen capture tool based on your needs. 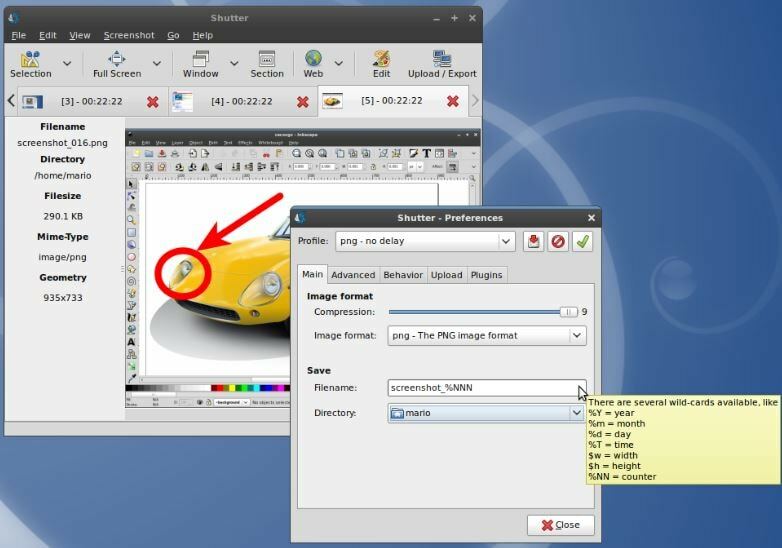 If you are looking for an easy to use screen capture tool for Linux, Shutter is one of the most popular option that should not be missed. It will allow you to capture the entire screen or just a portion of it. One thing that most people enjoyed is how you can immediately edit the images that have been captured. You can highlight specific parts of the captured images and leave important notes. This is unlike in the case of other screen capture tools where you will be required to use an external tool for editing images. It also has an integrated feature that will allow you to easily share the captured and edited images, such as in online forums. Even if it is your first time using this screen shot tool, you will not experience any complication as it is built with the needs of users in mind. Imagemagick is a free open-source software for displaying, converting and editing images and vector image files with the support of more than 200 image formats. It also comes with the ability to take screenshot on Linux by using a rich set of commands. With Imagemagick screen capture tool, you can take a screenshot of the entire screen or the currently active window, or take the screenshot of a selected area of the screen. For the detailed information about how to use Imagemagick, please visit its official website here. Gimp is one of the most comprehensive and free image manipulation software available on Linux. It is also a free open source image editor with the ability to edit, resize and retouch images and take screenshots of the whole or fixed area of the screen as well. 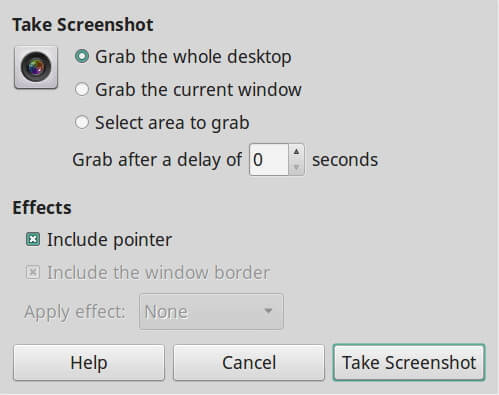 Taking screenshot with GIMP is easy, just click Create Screenshot option from the File menu, and then select the area that you want to take a screenshot. After screenshot, you can also apply some effects or edit the image per need. Whether it is screenshot or screencast, Kazam will prove to be handy. The video file of the screen recording can be played in VP8/WebM format. Aside from visuals, this tool will also allow users to record an accompanying audio from a compatible source. If you are using Ubuntu, to get this app, you simply have to type “sudo apt-get install kazam”. Kazam is excellent because it offers versatility. 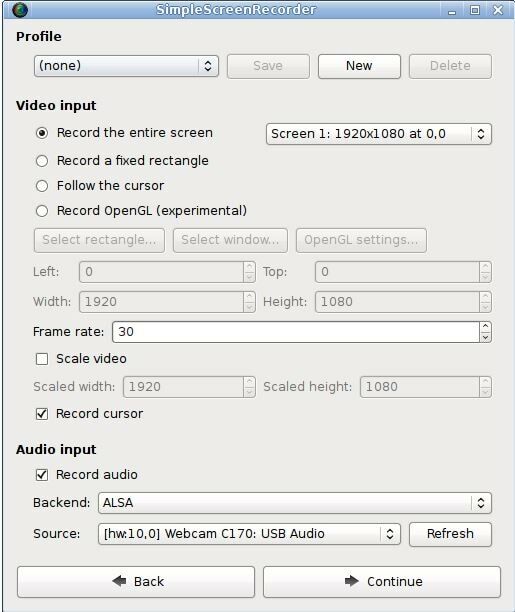 If you do not want to record the entire screen, you will have the option to record only a selected area. It is also a good thing that it is a light file that won’t consume too much memory space. However, it does not come without any problem. Many of those who have used such complained about the lack of webcam viewer. It is also not usable in all configurations. 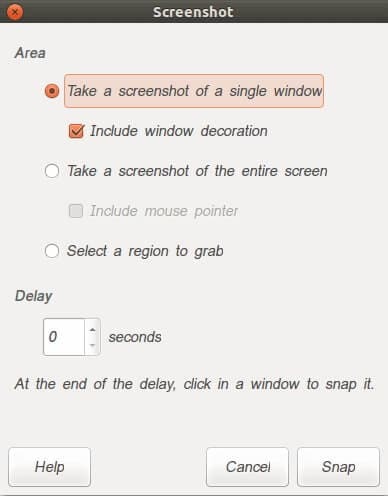 GNOME Screenshot is a default utility which comes along with Ubuntu in GNOME desktop used to taking screenshots or recording the screen activity. It is a powerful screenshot tool to capture the whole screen or a particular area of the screen for Linux. You can use the shortcut keys to take a screenshot and record the screencast or take a screenshot in the GNOME Screenshot GUI. In the GUI interface, you can choose to grab the whole desktop screenshot, grab the currently active window or select a particular area to grab. You can also set up the effects such as including the pointer or including the windows border and apply some effects. You can check the official user guide about how to take screenshot and screencast with GNOME here. This Java-based screen capture application is known for its excellent performance, as well as user-friendly interface. It can be ran on any distribution; you only have to make sure that you have “avconv” installed on your computer. The team behind the creation of this screen casting tool continuously creates improvements for better user experience. You will be able to record in either MP4 or FLV format. The quality and size of the recording can also be easily changed. There is no need to have extensive technical knowledge to make the most out of this application. Adding a text overlay is also possible, making it excellent when it comes to customization. If you are using this application, make sure to frequently check for updates to be provided with an improved way of using such tool. As the name implies, it can make screen recording a task that you can easily accomplish. 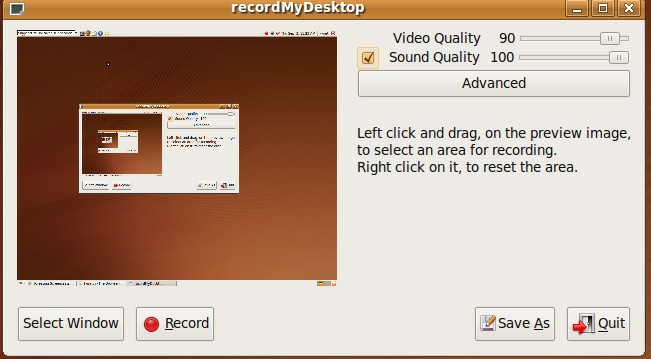 It was created to offer users with a simple app from Linux screen recording. It comes with sensible default settings, which means that there is no need to change any option to enjoy basic screen capture functionality. Through the improvements, however, the simple functionality has been added with more options for customization, making it a more extensive tool. It comes with a QT-based graphical interface, and it is also faster than the performance of ffmpeg/avconv and VLC. It also allows recording the entire screen or a portion of it. Audio synchronization is also possible with this screencast tool. There is an integrated hot key, which can be pressed anytime to pause video recording. This is the screen capturing tool that started it all for Linux as this is the first of its kind. While it offers several options for screen recording, one of its significant drawbacks is that there is no option for just taking a screenshot. There is also no included webcam viewer. With this tool, you will have the option to pause and resume video recording. The tool is generally divided into two parts. The first part is a command line tool, which is basically the one that is responsible for capturing and encoding. The second part is an interface that exposes the functionality of the program. That’s the top 8 best screen capture tools for Linux we have picked in 2018, hope you can achieve your purpose whether it is taking screenshots on Linux or recording desktop screen. In case that you are looking for more best screen recording options, check the best screen recorders for all platforms in 2018. It can be "run" in English.